(Updated at 2:40 p.m.) Arlington County’s half-billion-dollar streetcar project for Columbia Pike and Crystal City is being canceled, County Board Chair Jay Fisette announced today. Fisette will make it official with a motion at this afternoon’s County Board meeting. Tejada is said to oppose canceling the project and may vote against Fisette’s motion. 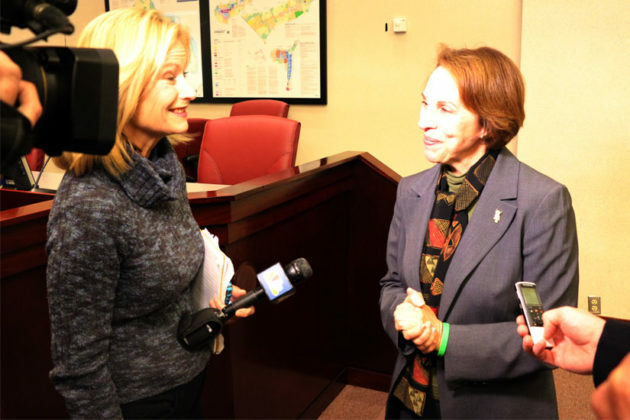 The streetcar project was to be funded by commercial transportation revenue, along with funding from the state and Fairfax County, which was to benefit from the Pike streetcar running to the Skyline area. Fisette said the county will instead explore options for improving bus service on Columbia Pike. The transitway between Crystal City and Alexandria will continue to operate and be developed, but will be served only by buses. Existing streetcar contracts — like the $26 million engineering contract awarded in September — will be “wound down” as quickly as possible. Fisette acknowledged that many business owners and residents along Columbia Pike will be disappointed by the streetcar project’s cancellation. 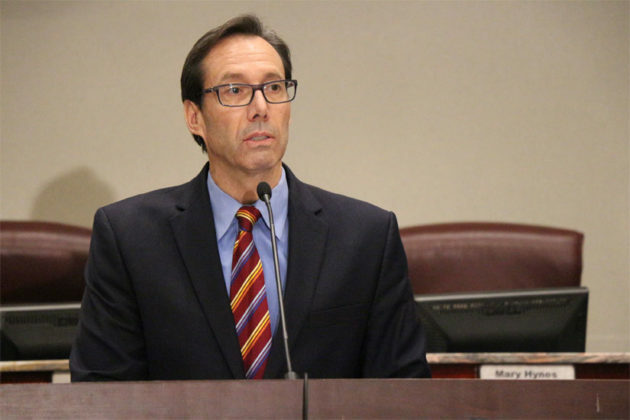 Fisette said county staff and the county manager were “caught flat-footed” by organized opposition to the streetcar, which materialized in “the past year or so.” Efforts to communicate the streetcar’s benefits were ineffective, he said. The cancellation is an improbable victory for Vihstadt and his anti-streetcar ally on the Board, Libby Garvey. Together, they have been pushing the county to cancel the streetcar project and instead work to implement enhanced bus service on Columbia Pike. Garvey was in attendance at Fisette’s press conference (which can be viewed online) and said afterwards that Fisette’s announcement “was a complete surprise.” Hynes was at an event this morning and “gave a ringing endorsement” of the streetcar, Garvey said. 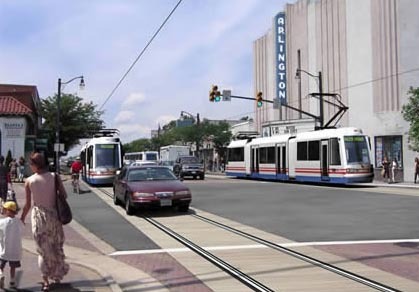 The streetcar plan for Columbia Pike was developed over nearly a decade of community meetings and deliberations and approved in 2006. 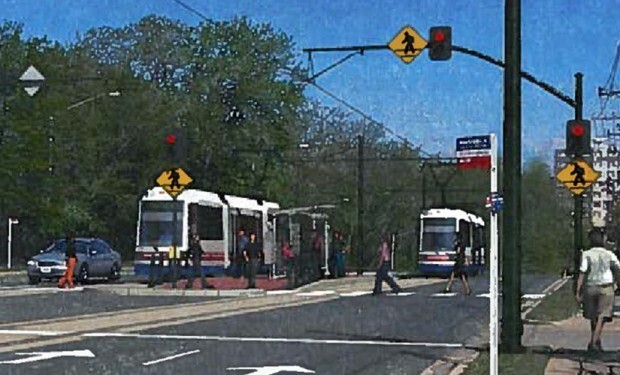 Its backers have consistently said that consensus was behind the streetcar and it’s what the community wanted, but Fisette conceded that the feeling around the county has changed. The struggles of the streetcar along H Street NE in Washington, D.C. has only added to the growing sentiment that the streetcar was more trouble than it was worth. “The D.C. streetcar was a gift for those of us who oppose the streetcar,” Garvey said. She added that its issues — having to stop for vehicles on its tracks chief among them — had confirmed her doubts about its potential as a transit solution. Garvey said she doesn’t think the streetcar’s cancellation “changes things at all” with her relationships on the County Board. Minutes later, after Fisette and Garvey finished giving interviews, Garvey approached Fisette and said “good job” and offered to shake his hand. Fisette pulled his hand away and said “no thanks” before walking past her. Serious conversations about canceling the streetcar began only in the last two weeks, Fisette said. 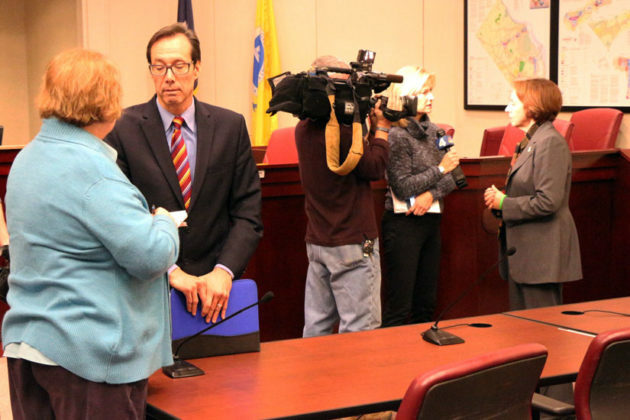 Members of the Fairfax County Board of Supervisors, which had committed to funding 20 percent of the Columbia Pike line to extend it into Bailey’s Crossroads, were disappointed with Fisette and Hynes’ decision. 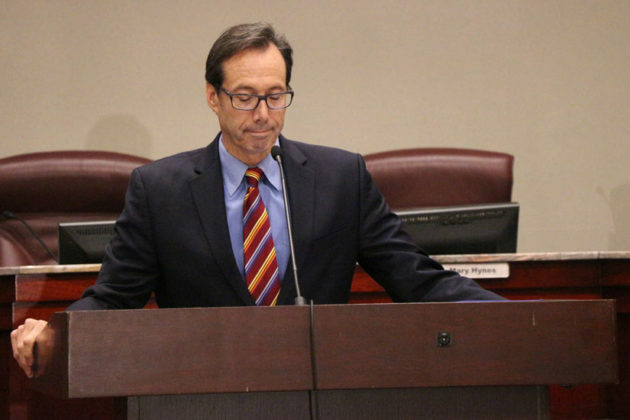 “I look forward to working with all of my colleagues to renew our focus and concentrate our energies to address the host of priority challenges that our County continues to confront, including schools capacity, infrastructure maintenance, adequate parks and fields space, and affordable housing, as well as the revitalization of both the Columbia Pike and Route 1 corridors,” he said in a statement. The streetcar’s cancellation makes the words of local political blogger and strategist Ben Tribbett — who spoke to ARLnow.com on election night, after Vihstadt declared victory — look prophetic. “There is more exciting work to be done,” he said. Ask Adam: Do I Need Flood Insurance?